Hochheim’s history can be vividly discovered here. 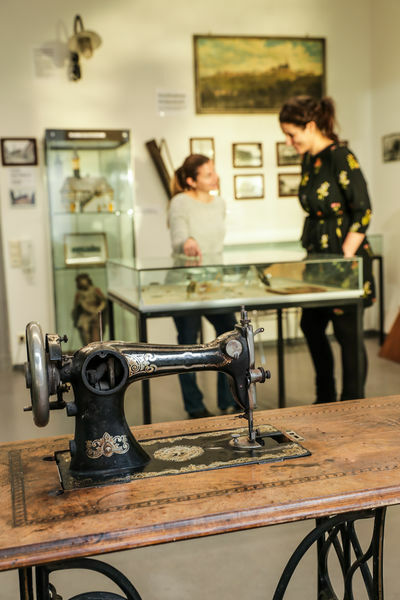 The Otto Schwabe Local Museum provides a forum for the local history of Hochheim and is mainly supported by volunteers. Situated idyllically in the old historic town of Hochheim it attracts tourists as well as Hochheim people. The highlight of this collection is the unique celtic mirror, along with findings of Roman and Celtic settlement. Hochheim’s history can then be further pursued with the first mentioning of Hochheim on occasion of the funeral procession of Holy Bonifazius, then from the first Hochheim Market to the world-wide operating sparkling wine brand Burgeff.